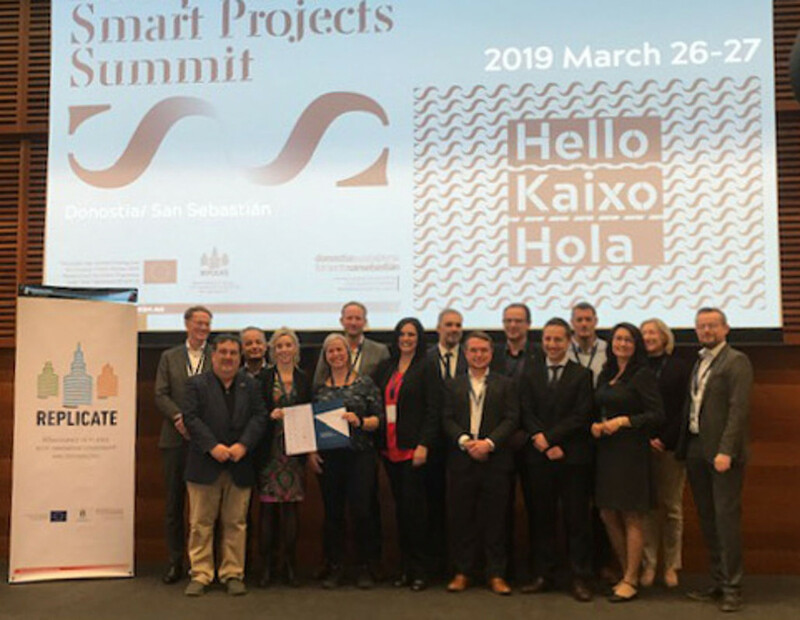 San Sebastián, Lighthouse City of Replicate, organized the European Smart Projects Summit and invited Triangulum and the other 13 European Smart Cities and Communities (Lighthouse) Projects to join as well. The purpose of the two-day summit was to foster further collaboration opportunities between the 14 projects, to exchange knowledge and to welcome the two new projects MAKING-CITY and +CityxChange to the family of Lighthouse Cities. The event was thus occasion for the signing of the manifesto of cooperation between the European SCC1 Projects. 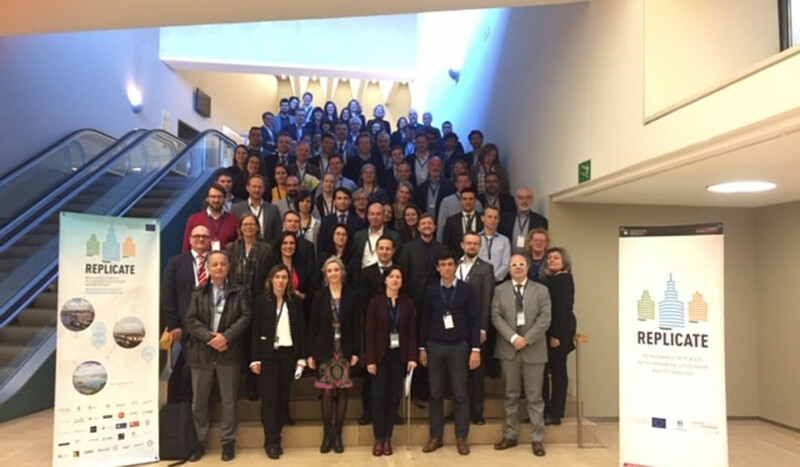 Furthermore, a culture of exchange and learning was supported through a number of high-level presentations, interactive workshops, a study visit to the demo sites of San Sebastián and internal working group meetings. 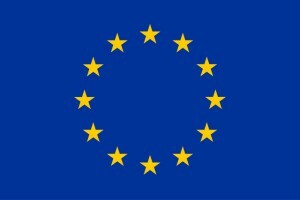 From Triangulum, the project management team from Fraunhofer IAO, including the communication lead from Steinbeis-Europa-Zentrum, as well as replication representatives (Fraunhofer IAO) attended the event. Six parallel workshops covered issues like the transformation of districts into sustainable and smart buildings, sustainable urban mobility, funding possibilities for smart solutions, citizen engagement as well as data security and the energy transition. The coordinator of our project, Damian Wagner from Fraunhofer IAO, talked about experiences from five years of Triangulum at the workshop “How to fund the scalability of smart solutions”. 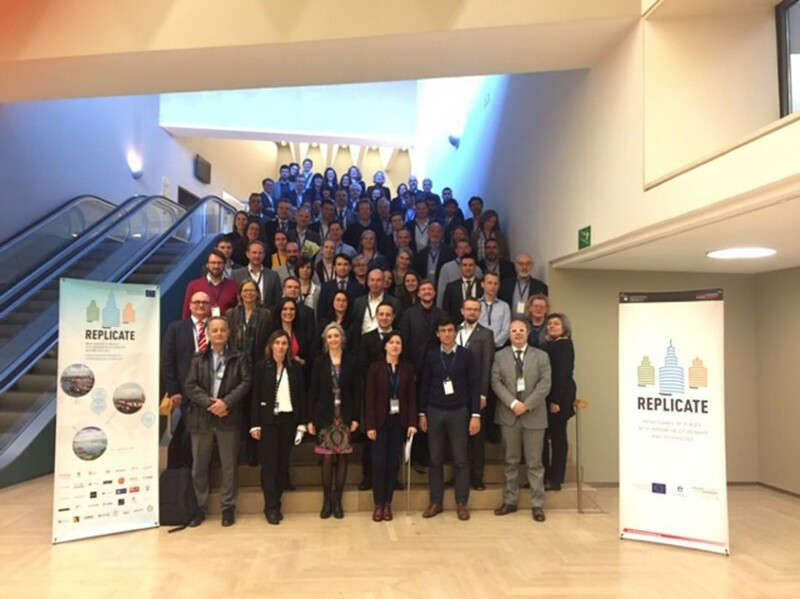 The study visit demonstrated smart implementations in the Urumea Riverside District that is part of Replicate’s Lighthouse City San Sebastián. The Urumea Riverside District consists of a residential, industrial and a green area and was reached by electric buses that connect the city centre with this smart district. Here, the group visited the Txomin residential neighbourhood where the first urban District Heating Network of this size in the Basque Country is in operation. The district heating network is owned by Fomento San Sebastián (coordinator of Replicate) and managed through a public-private innovative model, which will give service to more than 1,500 new and 156 retrofitted homes. The industrial park Polígono 27 displayed smart ICT and infrastructures deployment and a unique sustainable building named Enertic, where experiences on smart implementations, difficulties, challenges and results have been shared. Here in San Sebastián, the municipality has upped its game on sustainable mobility by introducing electric vehicles to the local police enforcement. In the case of the BMW e-scooters, an additional battery was installed to power their sirens & lights. The two-day event was rounded off with internal working group meetings at Talent House, with a splendid view over sunny San Sebastián, with its beach and the historic city centre. There, the different working groups, such as the Board of Coordinators, the Replication or the Communication Group, met to discuss joint topics and to work on joint activities. What have we learnt from San Sebastián? Over these two days, we have learnt that we, the Smart City family, consisting now of 14 projects (quite a large family by now! ), are delivering outstanding projects, encountering similar barriers and that we all need to find localised specific solutions to overcome them. However, across all the different projects, citizen engagement is the key to delivering a truly smart city. In addition, we are aware that political commitment is necessary to make smart urban transformation a reality.